Pablo Lopez and Farris Khouri just completed their college degrees last year, but already they identify as serial entrepreneurs. The two have started multiple businesses since first becoming friends at St. Edward High School in Lakewood, earned scholarship money through the Ken Layden Entrepreneurship program and entrepreneurial competitions, and even started a business while earning their finance degrees (Lopez from Case Western Reserve University and Khouri from Xavier University in Cincinnati). 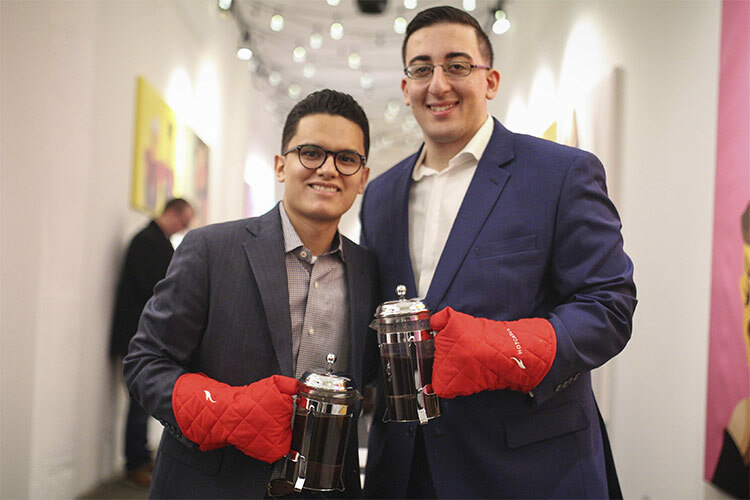 Last September, Lopez and Khouri launched their newest business venture and Ohio’s first farm-to-cup coffee company, Mocina Coffee. Mocina connects with coffee farms and their farmers in the highland regions of Huehuetenango, Guatemala to source its coffee beans, becoming the latest addition to the Cleveland’s growing third-wave of coffee retailers. “Our beans are not only cultivated by the farm, but they are also roasted and prepared for consumption by the farmers themselves,” explains Lopez. Lopez, who is from Ohio City, and Khouri, who is from North Olmsted, are both first-generation Americans. Lopez’s father hails from Huehuetenango, and Mocina sources its beans from Lopez’s uncle’s farm. Khouri’s family comes from Al-Kafrun, Syria, and his family owns multiple restaurants in Northeast Ohio (including his father’s Gourmé Deli & Restaurant in Strongsville). Between their respective family histories in the restaurant and coffee businesses, Lopez and Khouri knew they had a winner in forming Mocina. Recognizing that Guatemalan coffee is celebrated around the world for its coffee, Lopez got in touch with his uncle and in December 2017 went to visit his farm. La Sagrada Familia, a medium-sized farm that employs 22 full-time workers and 90 temporary employees during harvest season, produces between 150,000 and 200,000 pounds of coffee annually in the high altitudes of the Sierra Los Cuchumatanes mountain range. The farm works primarily with cooperatives that deal with European and Asian coffee distributors/exporters. Mocina is the first direct American coffee company to which Lopez’s uncle has sold his beans. Additionally, Mocina attained CTPAT (Customs-Trade Partnership Against Terrorism) certification—a joint government-business partnership to help add to supply chain and increase border security—allowing them to better work with customs and fly their coffee quickly and directly to their warehouse at E. 40th Street and Prospect Avenue. Lopez saw his family’s ties to Huehuetenango as the key to the next successful business. He shared his epiphany with Khouri, and the two got to work creating a coffee company with the vision of delivering a superior product and more-than-fairly compensating coffee farmers for their work. “We would argue that Huehuetenango, Guatemala is one of the top three growing regions in the entire world,” says Lopez. “We pride ourselves on the fact we changed the way the coffee business is generally run. Our business model is unique and unconventional and that allows us to take better care of our partner farmers." Lopez stayed in Guatemala through January 2018 to form relationships with the farmers and learn the coffee trade, while Khouri stayed in Cleveland to start building demand. 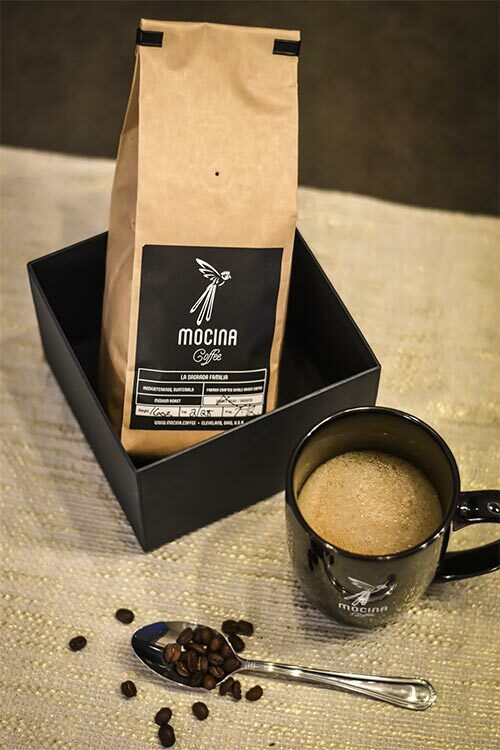 Last September, Mocina received its first coffee shipment and sold out almost immediately. The company has seen 900 orders in their first four months in business. Lopez and Khouri have also been hosting pop-up events to get the word out about Mocina Coffee. Upcoming events include Polar Fest at the Cuyahoga County Fairgrounds (164 Eastland Road, Berea) on Saturday, January 26, from 10 a.m. to 5 p.m. and Sunday, January 27, from 10 a.m. to 3 p. m. They will also host a pop-up at 78th Street Studios’ Third Friday on Friday, February 15, from 5 to 9 p. m., and more events are in the works. Mocina Coffee is available at Rego Brothers Lake Road Market in Rocky River and Cafe Social (2886 W. 25th St); Mocina has also just partnered with Cocky's Bagels food truck. In the future, the pair say they want to get into more grocery stores as they build their wholesale business.